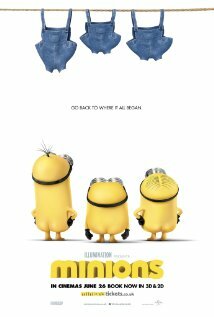 Kingman Historic Theatre: Showing this weekend at the Kingman Historic Theatre Minions!! Showing this weekend at the Kingman Historic Theatre Minions!! Showing this weekend July 24-26 Minions! All show times Fri-Sat-Sun are at 7:30 P.M. This movie is rated PG and stars Sandra Bullock, Jon Hamm, Michael Keaton . \Come out and enjoy a movie for $6.00 presented on our amazing digital system!